The Emperor (Happy Valley) Hotel is a stylish hotel located a 15-minute drive from the Central Business District. It offers a restaurant, free shuttle services and free Wi-Fi in rooms. Air-conditioned guestrooms at Hotel Happy Valley Emperor feature modern interiors and furnishings. The Hotel has 150 rooms and each room is equipped with a minibar, tea/coffee making facilities and cable television. Hotel Emperor offers free shuttle services to the Hong Kong Convention and Exhibition Centre. Other services include concierge, car rental, and currency exchanges. The Emperor%u2019s Restaurant serves a selection of local meals. There is a coffee shop offering Asian and Western dishes. 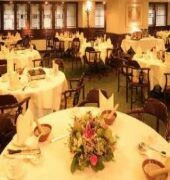 The Emperor (Happy Valley) Hotel is a 5-minute drive from Causeway Bay MTR Station. It is a 45-minute drive from Hong Kong International Airport and a 1-hour drive from Hong Kong Disneyland. The EMPEROR (HAPPY VALLEY) is a Tourist hotel. Located in HONG KONG area. Shopping is accessible by bus/taxi and the nightlife/restaurants are easily accessible by taxi or bus from the hotel. Descriptionclass="small" style="text-align: justify; font-size:11px;">The Emperor (Happy Valley) Hotel is a stylish hotel located a 15-minute drive from the Central Business District. It offers a restaurant, free shuttle services and free Wi-Fi in rooms. Air-conditioned guestrooms at Hotel Happy Valley Emperor feature modern interiors and furnishings. The Hotel has 150 rooms and each room is equipped with a minibar, tea/coffee making facilities and cable television. Hotel Emperor offers free shuttle services to the Hong Kong Convention and Exhibition Centre. Other services include concierge, car rental, and currency exchanges. The Emperor%u2019s Restaurant serves a selection of local meals. There is a coffee shop offering Asian and Western dishes. The Emperor (Happy Valley) Hotel is a 5-minute drive from Causeway Bay MTR Station. It is a 45-minute drive from Hong Kong International Airport and a 1-hour drive from Hong Kong Disneyland.